Cyber security company Symantec has produced an advertising campaign tied to the Solo: A Star Wars Story film. 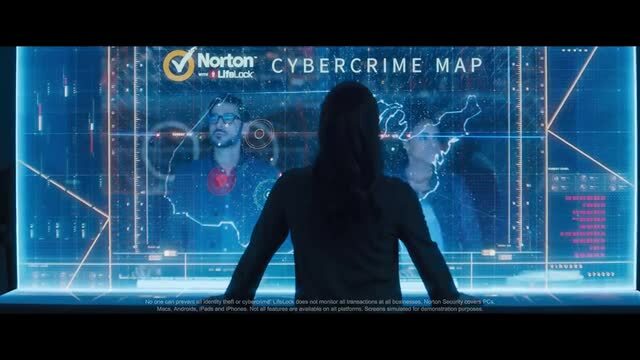 Developed by Symantec, the creative supports the company’s announcement that its Norton and Lifelock consumer brands are now one and working together to protect consumers against the increasing threats invading their digital world. Fans can see footage from the Solo: A Star Wars Story movie in this Symantec’s TV spot, which is running in national broadcast. This collaboration with Lucasfilm is a culturally relevant way for Symantec to call attention to the changes the global cyber security company is making to provide better security and identity theft protection for consumers.Symantec drew a connection to Han Solo and Chewbacca, two powerhouses battling threats in the Star Wars universe, and likened them to the Norton and Lifelock products coming together as one to fight threats in the digital universe. Solo: A Star Wars Story, which will premiere in the U.S. on May 25, 2018, will give fans a look at the beginning of Han Solo and Chewbacca’s relationship, a perfect illustration of how the combination of two forcible entities can provide a powerful level of defense.